The next schedule for Technical Analysis Training Session is on April 10-11 in Mumbai. Technical Analysis software for life time. Planning a session in Surat in third week of April. If interested plz mail or call. tell me can u come surat ? 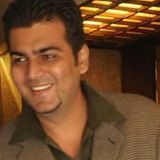 You can call Kazim 09821237002 as he is planning to conduct a course in Surat soon.